Sylvia Sky, M.A., is an experienced astrologer and author of "Sun Sign Confidential: The Dark Side of all 12 Zodiac Signs". Real astrologers do not claim also to be psychics and mediums. Astrology is learned. It is not "psychic." An online astrologer who always goes by just one name is fake. "Celeste" is fake. "Mary" and "Padre" and "Pasqualina" are fake. A fake will tell you about "your stars." A real astrologer will tell you about "your planets." Real astrologers will ask for your birth time, date, and place. They also need a birth date, time, and place for anyone you are asking about, such as a spouse. They will tell you truthfully that they can't give you accurate information without these facts. 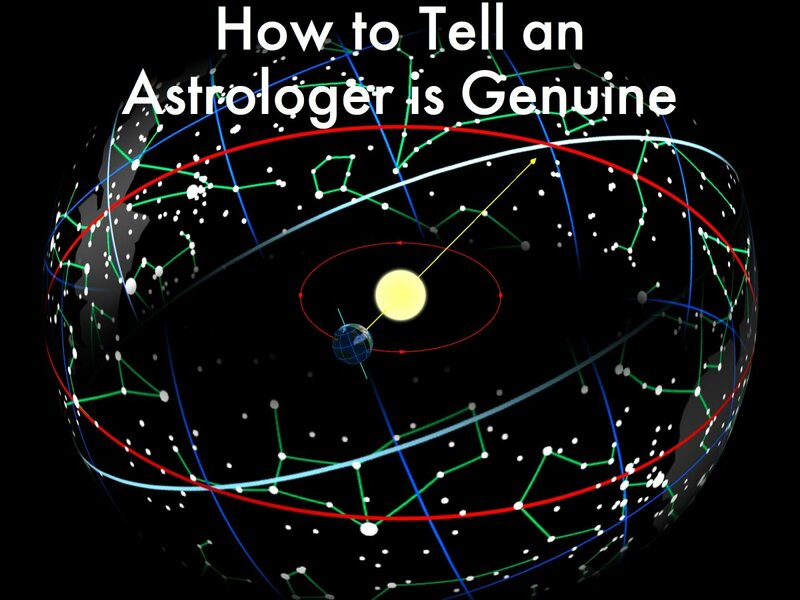 A real astrologer will tell you that sun-sign astrology is very simplified astrology, and that truly accurate horoscopes are custom-made for individuals and are much more involved. If you can make an appointment with and meet an astrologer in person, he or she is probably a genuine practitioner. Ask for references, or to see a certificate (proof the astrologer has taken a standardized test or graduated from an astrology course). Note: Many astrologers are self-taught or have studied with experienced teachers, but might not have taken the tests. Here is a link to the American Federation of Astrologers (AFA) list of their certified professional astrologers. You will notice there are relatively few. The tests for certification are extremely demanding: No computer calculations are allowed, and the candidate might have to travel cross-country to the few cities where the supervised tests are given once or twice a year. Legitimate certification tests are also given by the organizations NCGR, ISAR and Kepler College. But an astrologer with good references is probably fine. "Intuitive" or "psychic" astrologers might not be lying when they say they think they can "intuit" or use psychic power to "do astrology," but real astrology is never a matter of intuition or psychic power; it's about math and skill. A real astrologer will be glad to give you references. A real astrologer will give you his or her contact information. A real astrologer will never tell you what you "must" do. A real astrologer or Tarot reader does not have an offer online for a free introductory reading. A horoscope reading cannot solve your personal problems. If your situation is overwhelming, or involves bodily harm, a real astrologer will refer you to counseling or other resources. An astrologer who has been in business only a short time, or is very young, might be the real thing but might not be experienced at interpreting charts for clients. An astrologer who pushes you hard to buy a reading, or sends repeat e-mails, or otherwise makes you uncomfortable, is probably fake. An "astrologer to the rich and famous" is likely a fake. If his clientele was really the rich and famous, he would be making a good living and not needing to advertise. A real astrologer will take at least a day or two, sometimes longer, to create your chart and study it before setting up a meeting to interpret it for you and answer your questions. A real astrologer prefers not to give readings over the phone, although sometimes it can't be helped. A real astrologer will give you an hour or a half-hour of time in which to answer your questions about your horoscope. 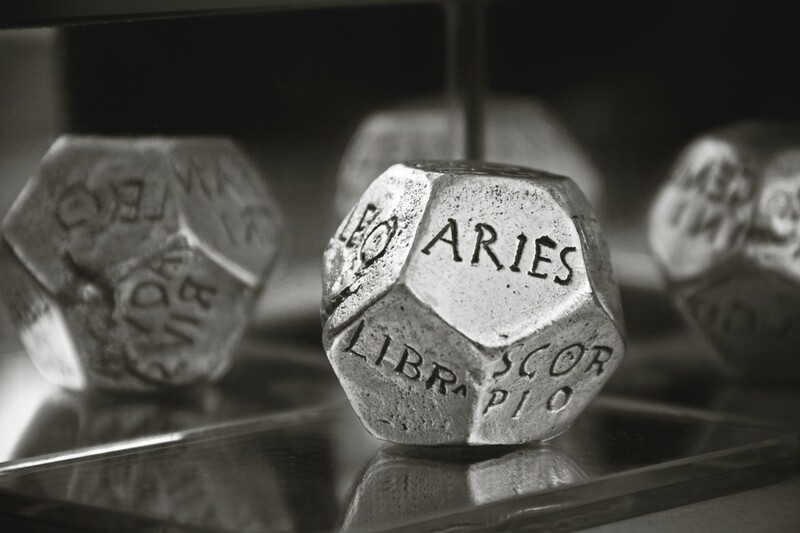 A real astrologer charges professional rates for consultations. $100 per hour is about right; some charge as much as $200. Remember that they have worked on your chart and its interpretation before meeting with you. If they are real astrologers, you will not have to have this same reading done over again. Real astrologers often record the session for you, or, if they're older or not comfortable with the technology, will let you record the session. 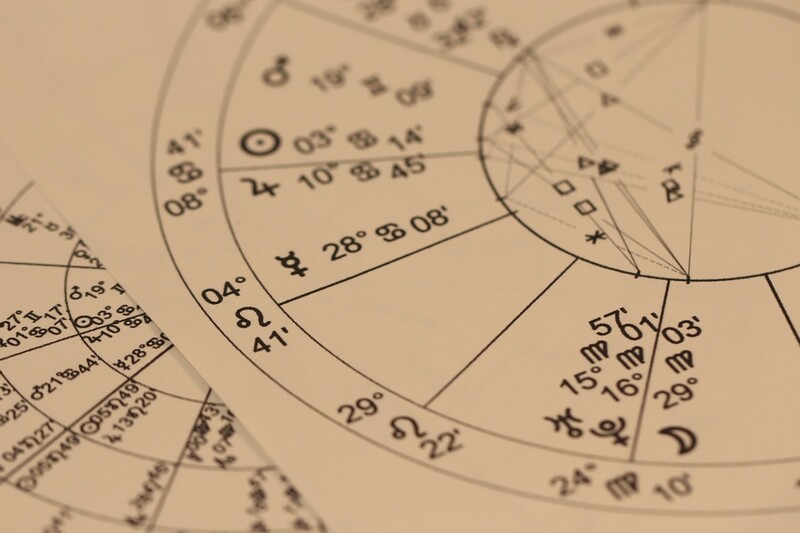 Today's astrologers commonly use computers to calculate astrological charts, but proper chart interpretation can be done only by a human astrologer. It's like your doctor: She gets the results of your lab tests, but she has been specially educated as to how to interpret what the numbers mean for you. No real astrologer will ever tell you that horoscopes are "spooky," "shocking," or "scary." Real astrologers don't want to scare people. They want to help people. An astrologer who says you have a terrible chart and there's no hope for your business, love life, or whatever, is fake or very sick in the head; even more so if he suggests your future success depends on buying more readings from him. A husband and wife team, or parent and child team ("I can't meet you Thursday, but Bob can") who claim that they are both mediums/psychics, is fake. A real astrologer will not be so specific as to say, "You will meet a tall dark stranger," or "Yes, he is having an affair with your best friend," or "You will lose your job in two weeks, then go work at Wal-Mart." He or she will talk about planetary conditions and likelihoods, saying something like, "Saturn is entering your tenth house, and for the next two years job or career matters may be challenging. It may help you in this area of your life to become serious and organized." No real astrologer will speculate about your lifespan. 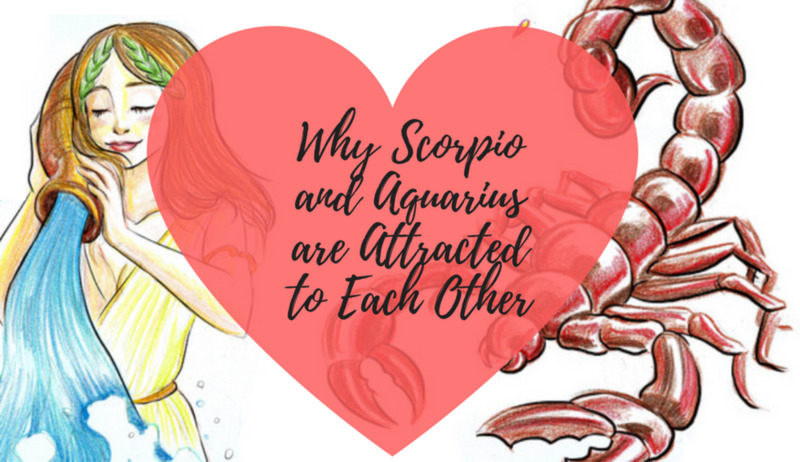 A real astrologer cannot tell you the exact date, time, and place you will meet your "soulmate," or what his name is, and what he will look like. To answer those questions, you really need a fake. Horoscope Review: Claire at Astrology-Revealed and Sky-Request: How Real? All "free introductory readings" are computerized, with only your name slotted in, and fake. They say that if you pay them, they will reveal more, of very great importance to you. No real psychic or astrologer withholds important information in order to try to gouge you. Also please see the sites' "Terms and Conditions" pages. On those pages every one of these sites confesses they are "for entertainment only." Not real. I am surprised you are fooled. Syakirah, everyone receives this exact same letter with only a name change and different Sun sign according to the birthday. It's all computerized. Try it; put in another email and birthdate and see. Stella, simply google "2019" plus your Sun sign. You will find several readings just as good or better than "Mary," and just as free. Hi Sylvia, do you know about astroteam? Is it trustworthy? Hi Sylvia, do you have any information about Sophia Loren? The Tarot Prophet? She offered a "free reading." I must admit it was pretty accurate. Then, of course I got the typical email encouraging me to get an in depth reading and the price is only 19.00. I entered her name looking to see if she was a fraud or has scammed others but I did not find anything either positive or negative about her. Dear Christine, I couldn't find yearly readings on that site, but I did look at the dailies, and when they said the Moon was in Pisces, for example, that was a fact. The mini-reports, however, are generic, cleverly written so as to apply to 80 percent of the population. The site probably gets hundreds of requests per day for free mini-reports. The staff couldn't possibly customize each mini-report for each asker. And Adrian Ross Duncan told me himself in an email that AstrologyAnswers simply pays him to use his name. He did not write the horoscopes nor the emails that arrive "signed" by him. Are the daily and yearly readings on AstrologyAnswers.com that using Adrian Duncan's name accurate at least? I got the free mini report which you said is NOT accurate even though to me is was pretty spot on. I would be THRILLED if you said that the daily and yearly readings are not correct either. They tend to be similar to my Chinese Zodiac Horoscope (if I am even referring to that correctly, I apologize if I am not). Hi Sylvia, very nice work for us who are in search for legit Astrologers, thank you for that! I leave in peru and i havn´t been able to find a ¨confirmed¨ astrologer around here, would it be possible for you to somehow suggest one online? I know you have said that you don't recommend to search online astrologers but for some of us who have no choice it would be a great alternative, thank you, best regards! Is Cédric Grant Bouchard legit or not? Is psychic txt legit as well? Hi Sylvia and all, do you have any experience with Cedric Grant Bouchard's reports/any other services? Thanks! Kirsten Dee, can you please forward me the details of the Chinese astrologer? Thank you! astro mary..calls herself Mary..is she real or fake? I wanted to find out more info on Extraordinary Chris, is there any new info? Jessica, the article includes a link to a national astrologers' association listing certified professional astrologers who have passed intensive testing. They will, however, ask for payment for their services. Any online fortuneteller offering free introductory readings is a fake. All astrologers will say, though, that you have a very large part in determining your own future. Amazing RON SAID I WAS CURSED....and for £30:00 Sale Price Istead of £70:00 he will Correct the Situation .....!!!! Is Cedric Grant Bouchard legit or fake? Hello so your saying if we sent 29.95 to Cedric grant bouchard we wont be getting a real reading? It's Adrian Ross Duncan, who has allowed the site AstrologyAnswers to sign his name to their emails, for a fee. He does not actually work for them or write those letters or the site's horoscopes. They pay him to use his name because he is known as a legitimate astrologer. a person named Adrian keeps sending me emails! Hi nice article. What's your thought on Exceptional Ron, who talks about Karmic Debt, provide tarrot spreading, who requesst for donation for performing Talisman protection etc. Is he Fake or Real? Hi, what cedric grant bouchard from astrology kingdom? Is it scam or what? I had made an appointment with Cedric Grant Bouchard a month in advance knowing I would be in Miami for a work conference. He requested my details early and in person we went over my astrological charts and I asked a lot of questions. It was a lot of information to take in and he provided me a recording of our session via email a couple days after. He's definitely eccentric in person and I will definitely be returning to him in the future. Does anyone has more stories about Cecilia psychic astrologer? many thanks for the info u provided or would have given money to Adrian . Thank you for this valuable information Sylvia! Any "seer" with only a first name is fake. Is the astrologer Barbara from astro report fake? Angelika, you have 30 days to ask for a refund. Go to the site and click on "Terms and Conditions" and find the refund policy. I purchased this crap for over 100,00 Euro over Paypal, any chance of getting the money back? Julie, Adrian Ross Duncan is a real astrologer allowing his name to be used by AstrologyAnswers.com in emails and "readings" he did not write. AstrologyAnswers.com will not give you real readings, even if Adrian's name is signed to them. He's there in name only and readings by Adrian are not available through AstrologyAnswers.com. See the site's Terms of Service which say its readings are for entertainment only. Adrian Ross Duncan real or fake? Astro Mary is fake. Tara is fake. HI does anyone know if mary astromary is real or fake? I was hesitating about Adrian -Astrology Answers. He constantly send emails that I don't reply but now I will , saying NO. It is easy for people to believe in Astrologers, because they WANT to believe, but good things in life comes because a lot of effort and big quantities of love. That is all. I have just been the victim of an online scam by Adrian Duncan & Astrology Answers. I lost approximately $600.I am warning people not to give their credit card details to this site. I live in New Zealand. I'm confused about your fees. It says one time only fee of $9. When I look at the fees that need to be selected it shows $9 month/every month. Not to mention, the selection already prompted was at the $79 special offer which I almost paid for. Your website has no contact number for any issues related to the service provided. Weather you are really trying to help someone, it's a disservice to manipulate customers in total costs. SCAM or No SCAM with many websites they have in the internet to make money is pretty sneaky. The lives of these website SCAMMERS maybe working out for sometime taking money from people, but never last as long as they think it would be. That is why there are so many SCAMS just to make a buck. This is my reading for whoever reads this. you dont know how much better i feel. i am new to this and i thought because I pd Cecilia at astro-phycics $70.00 for a one year report that I was getting a professional report. I was concerned about what was on it, and stupid me called a phycic line. I dont know how in the world they got any personal information about my family and what they are like, hoe they act, good or bad but it darn near cost me my job and my family, not to mention there are no "laws" in astroligy only leads to committing crimes that was never meant to exist. i thought i was going to burn in hell. this should be illegal for them to generate such aweful reports! Be aware of Cecilia, she kept emailing me for a while and I really though she would help me with financial crisis as she promised on her emails, but what she sent me after a few days was a computerised, fake and worse ever report. I emailed her back straight away and asked for refund but she asking for more money. I had a reading from Adrian Ross Duncan about a year ago and it was the worst reading I ever had. He was condescending, judgemental, and extremely arrogant. When I played back his recording to other fellow astrologers they were in awe of his lack of professionalism. It's hard to believe that he continues to practice in this way, I can't imagine him getting a lot of repeat business with such demeaning tactics. After sharing my experience, others who knew of him remarked about how he didn't much care for female clients and that he did better working with men. I have to be honest, I've never heard of a sexist astrologer but apparently they do exist. I have had a computerised report from Adrian Ross Duncan and it is very obviously fake. If he allows these reports to come out in his name then he is not doing himself any favours - trust is a fragile thing. I also visited his site and was not able to relate in anyway to the readings. I love Oscar (and Jonathan) Cainers site as I think what they post is spot on, however I would not pay for reports anymore from them as these are also computerised and vague - no where near as patronising though. Is Tara medium a scam? Any astrologer or Tarot reader who offers a free introductory reading to the whole Internet is fake. That includes TrustedTarot. Supposedly "she" shuffles her cards "once a day." A real reader shuffles for every reading. When you give your email address, emails come begging for "donations" in small amounts even before you get your "free reading." Thanks Sylviasky for your help with defining the best astrology site's,after reading your article's I now get it we all have a bright and dark side. What about Margaret Wells and trusted tarot real or fake? Excellent article, and thank you for clearing up what is going on woth Adrian Duncan. I am a serious student of astrology and a huge fan of Adrian Ross Duncan whose software I have used for years. His interpretations are excellent. I had been wondering what was up with him using that fake astrology answers thing! The tone of it was so completely off, not like him at all! He is among the best in the business. 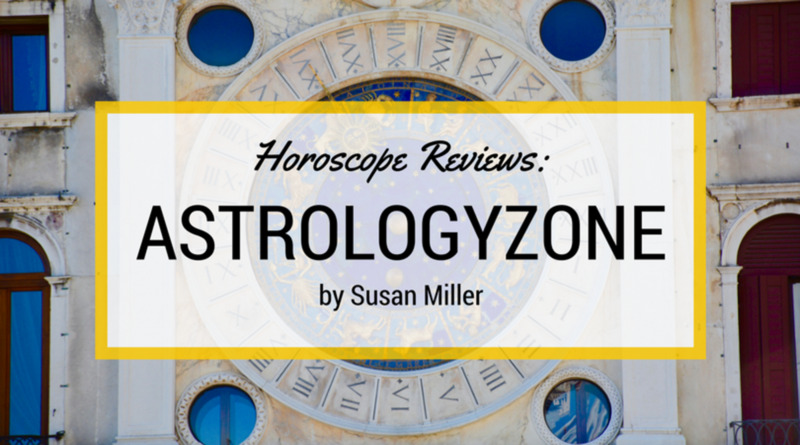 If you are new to astrology and have never had a reading, one of his reports can be quite meaningful. Just remember to preface each paragraph with:"this factor, considered in isolation, tends to have the following effect." You will find some paragraphs, detailing a major aspect that is dominant in your chart, to be quite meaningful, others less so. As the writer explains, only a live person can do the synthesis. With that in mind, Adrian's chapter on Moon square Saturn made me cry. That good. Also, his chapters on Mars, with the added sexual dimension, is superb. And he hits the nail on the head quite often with mundane astrology. Go to adtro wow and see what he had to say anout Donald and Hilary. Hi Sylvia just wanted to know is Esmeralda- clairvoyant/ tarot reader is genuine or fake. She keeps asking me for more money and claims she's had vision about me and my name appeared to her in the sky. Now I payed Adrian Ross Duncan. He dose give me a reading. But his reading always simple and the more you want to know yourself the more you have to pay. I'm feeling I get hooked. Guys don't come to him unless you are millionaire. Wondering is there some astrologists are not greedy and real? So far I still haven't receive anything. All she send to me is the outline and I'm feeling she is a cheater. How can I get my payment back. I just payed Cecilia yesterday about 100$. So far I don't get her response. Is she disappeared? Hello, is Margaret wells fake or real? Kind rgds. Do you have any idea if Adrian Ross Duncan is fake? He is asking me to buy his books, but I'm not sure if I should. Cecilia is fake. See the terms of service that call her readings "for entertainment only." And so is "The Exceptional Ron." Is Cecilia a fake or real? What do you think about exceptional Ron. The older guy with white grey hair. My partner is involved with him and had already spent money on a 6 months reading over email. Hi Sylvia. Thanks for all the info on 'real' astrologers. I just watched the video of Adrian Ross Duncan - seems to be legitimate.Should I pay for a reading on-line as opposed to seeing him in person??? Or is it just a waste of time and money? Would appreciate your views....Thanks in advance. Fake. The free reading is so general it can apply to most people. She says things such as "you are a good friend" and "love is important to you," and "you're not always happy," and so on. Is Victoria fake from astrology answers.com? She just gave me a free reading and I can't find information on her anywhere. But it was pretty accurate. Or so I thought. Adrian Ross Duncan is a legitimate astrologer who allows his name to be used on emails and reports from AstrologyAnswers.com (they pay him to use his name). He wrote the software that generates that site's computerized reports. All sites that offer and send you a more or less "instant" report are computerized. If you want a non-computerized horoscope, find an astrologer you can meet in person, one who will not barrage you with computerized emails, and pay the professional rate. You can unsubscribe from those emails, also. Adrian Ross Duncan keeps sending me emails. From what I have read above, it doesn't seem like he is legitimate because he is using computerized astrological reports and astrology software. Don't you agree? Update on Adrian Ross Duncan: He's a genuine astrologer selling computerized astrological reports and astrology software. He has his own site, world-of-wisdom.com, and no longer appears as a contributor to AstrologyAnswers.com. After submitting your dates you will have to wait a few days(!) for a mail claiming to have some kind of "free reading" witch is totally nonsens! You have just waited a few days just to get another sales pitch urging you to sign up for long term, stating that "YOU are at a CRITICAL PHASE" and other such nonsense! "This brief reading, in connection with the most important aspects of your character, shows the essence of who YOU are and a snapshot of the life you should be enjoying right now. 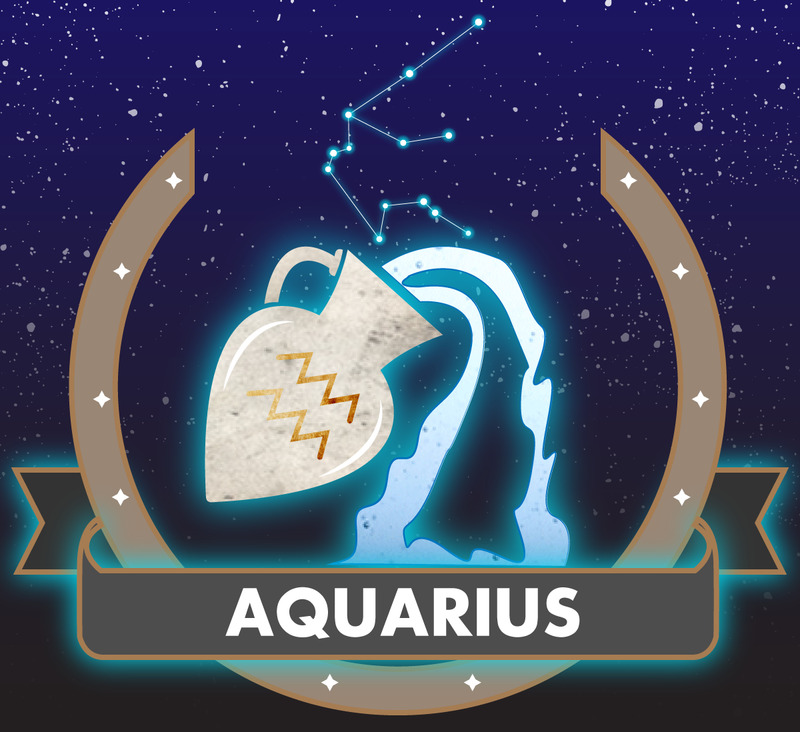 That is to say, if you were aligned with the potential shown by your birth chart…"
This is such total scam, and the worst I have come across so I just hade to post this! Has anyone purchased books on astrology answers and been charged more etc?? AstrologyAnswers has two Adrians, both designated "Adrian D." One is male, one female. Only the female gives personal "readings." The female is Adrian Degele, not an astrologer. She does AstrologyAnswers "readings" by phone. Is adrian from astrology answer's a fake? Jenna at aboutastro.com as a person or astrologer does not exist. It is a fraud website run by a man in France, and it gives astrology and horoscopes a bad name. To make it worse, the fake 'Jenna' tries to make it look as if 'she' was related to astro.com, the Astrodienst website. A similar domain was chosen, and is made visually to look a lot like 'about astro.com'. Astrodienst receives a lot of complaints about "its" Jenna astrologer, because fraud victims are lead to think it was related to astro.com. Her name is spelled Tania Gabriel. I looked at her website. She is primarily a numerologist and I have no opinion on numerology, but I see she is running a business, has had plastic surgery, and is hoping for celebrity. What you think about taniya Gabrie? I do not do charts nor accept clients. Test me! If you emailed me using a fake name and asked for astrological or Tarot services I would decline as I decline all other such requests, although I get them almost daily. The world doesn't need another astrologer; there are plenty of good ones. I am an astrologer/journalist specializing in consumer reports. This has become a big trend these days. Think of a few things you might want to do if you would like to scam people and say, 'A real astrologer" or "a real psychic" or "a xyz" etc etc...would not do this. I wonder how many clients Sylvia Sky bagged because of this write-up. This is a new trend in advertising. There are real astrologers and Astrology is a science but even astrological predictions aren't accurate all the time. There are many birth charts floating around of some celebrities and each and everyone of them is justified with events in their lives. Astrology is a divine science and not everyone who studoes it can give accurate predictions. Be ware of any and all types of scams. Low-lying scums these days resort to all sorts of advertising that makes them seem genuine. Another great and informative hub Sylvia! I considered offering charts online, and changed my mind. It seems whenever I mix Astrology and the Tarot with money, I don't enjoy it. I may change my mind in the future (my Mercury is in Gemini). What do you think of online Tarot readings? I always have a pet peeve about people who don't shuffle enough to get their energies in the cards. But I've joined a few clubs on LinkedIn, Professional Tarot and Astrologers, and it's fun just to read the threads. The online Tarot seems popular. I try hard to give the facts in my hubs too. Yesterday a woman wanted to plan her wedding in a certain moonsign, but seemed to think she had 2 opportunities in the same month where the moon would be in the sign. She wrote again, and gave me the date, and the moon was nowhere near that sign. I asked where she was getting her information, but I haven't heard from her yet. Maybe she and her spouse will work hard to cultivate the traits that they wanted and thought the sign would give them! Take care. Yes. That site is based on traditional Hindu astrology, called Vedic astrology, which uses the "sidereal" sky map in horoscopes. the site cyberastro.com u mentioned is talking about "my stars"..should i trust it's readings?? also, bein a christian, i was really confused about astrology and christianity. but ur xplaination has sense and therefore nw m clear abt wat 2 think of astrology.i dn't blindly blv in bible as it has changed many hands and has sveral versions too. according to sm reports the preist in oldens days must have changed sm facts to suit themselves. but i do blv jesus is my saviour. praise the lord. Excellent advice for those considering getting an astrological reading. A well-written Hub, on top of great contents. Great job, SylviaSky! Zoradamus, in her wizard costume? Fake!